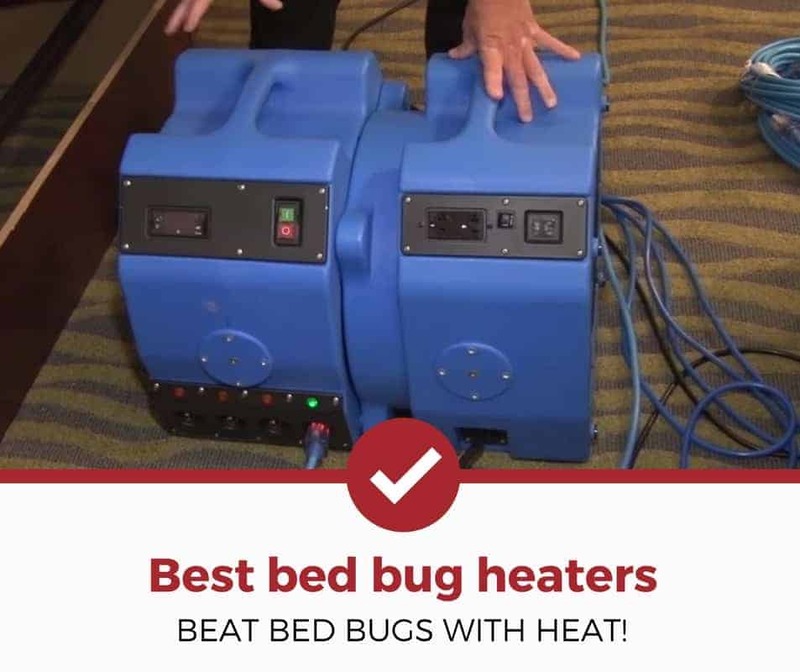 Looking for the best bed bug heaters in 2019? Out of all the bed bug heaters we looked at, the ZappBugg Heater is our top pick. It's SUPER easy to use, can save you a ton of money, and it actually works. Its dimensions are 23" x 37.5" x 23 fitting most people's belongings and folds up easily allowing for portability. Just put the stuff you think might be infested inside and press "on" button. From books, to shoes, suit cases, shoes, and more, all saved! The rest of the major products available, are either too expensive, or just hard to operate for most homeowners. But why a bed bug heater in the first place? First off, bed bugs are terrible. They bite you at night and invade all your stuff during the day making it impossible to find them. As a result most homeowners decide to throw away all of their belongings in hopes of eliminating the problem (usually out of desperation). Bed bug heaters can save you from doing all of that... without calling an exterminator. Instead of tossing out all of your books, clothes, and electronics you'd just throw them in in the Zappbug Heater above, turn it on, and walk away. 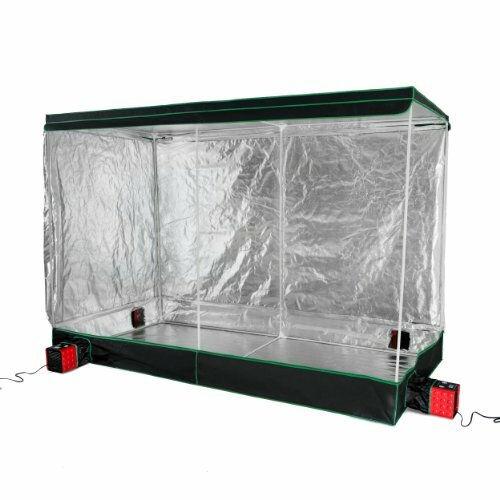 It can heat up to 120 degrees, which is the needed temperature to kill bed bugs eggs, nymphs and adults. When the heat cycle concludes, take out your stuff and put it either in storage, or some kind of air tight seal to ensure bed bugs can't infest. This alone could save you $1,000s of dollars. A heater is great for ensuring that your stuff is purged from any unwanted bed bugs, but you will still need to eliminate the source of your problem in order to full remove them from your life. Want to learn more about bed bug heaters and how they work? Commercial use of heat to battle bed bugs is a recent development in the pest control industry. Rather than traditional insecticides, professionals are now turning to special heaters to eliminate bed bugs. As we'll discuss in this guide, heat is one of the methods to kill bed bugs. They tend to be used more by professionals to heat entire homes, but companies have been popping up Individuals can purchase portable versions for items, but can also find professional quality heaters for entire homes. How Do Bed Bug Heaters Work? When Would You Ever Use a Bed Bug Heater? How To Pick a Good Heater? As you go though this guide, make sure to take pay special attention to HOW they are used and why you should be using heat to treat bed bugs rather than chemicals. If used correctly, a bed bug heater can save you thousands in exterminator costs and fees. What's even more interesting, is that if you end up calling an exterminator, the treatment that they will most likely provide will ALSO be heat. With that said, lets get into this guide! A bed bug heater is literally a heater designed to kill bed bugs, not keep them warm. Most products look like boxes made of materials which trap heat inside. People can place their possessions in the box, zip it close, and then turn on the heater. The temperature kills bed bug adults, nymphs, and eggs while avoiding potentially toxic products. When Did Heaters First Come Into Use? Because of their resistance and their increasing numbers, bed bugs have become a major menace for people everywhere. 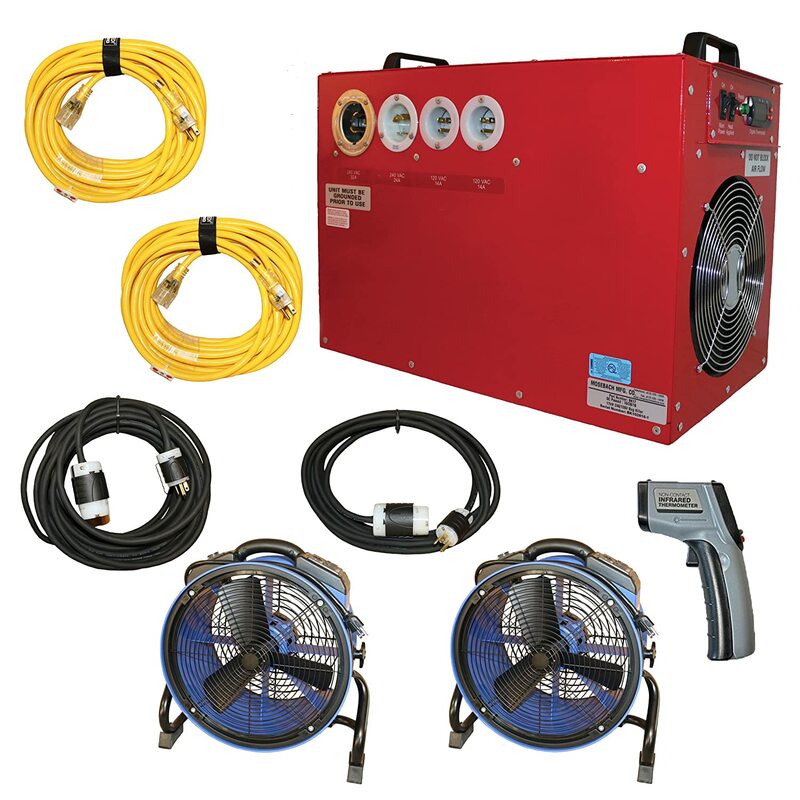 Professional pest control companies have started to use special heaters to treat entire properties, while some manufacturers make the portable heaters seen in this article. Bed bug heaters are simple devices. They're designed to heat up small and large spaces to a temperature where the bed bugs will die. They're powered by electricity (smaller heaters) or propane (larger heaters). They are ideal for people who want to avoid chemical insecticides when trying to rid themselves of bed bugs. At first glance, you may be wonders, "When the heck would I use this contraption?" It's a valid point, but there are a few key situations in which a bed bug heater would be perfect. This goes double if you are the type of person who doesn't like spraying insecticides all over their home. Heat treatments are chemical free. Read Also: What are the best bed bug traps? Our first example where you might use a heater is when coming home from a trip. The increased travel across the globe is the main cause of the increase in bed bug problems. If you're going to get bed bugs, it's most likely because you were traveling somewhere and brought them home. For most consumers (aka normal people) bed bug heaters are perfect to use to ensure that if bed bugs made there way inside you luggage or suitcase they'd be dead. The idea would be that you'd place your belongings inside the heater when you get home, which would kill any bugs that may have come with you. If you ever get bed bugs (god forbid), you could use heaters to purge any bed bugs that may be hiding inside your belongings. Once you've passed your clothes through the heaters, you would seal them up inside plastic bags and store them somewhere safe. For large infestations, exterminators will heat up an entire house to at least 140 degrees to kill the bed bugs. Watch the video below to get a sense of how much work needs to be done to get rid of these pests. Most living creatures have a minimum and maximum temperature where their bodies begin to shut down. Scientists call this temperature a "thermal death point." For bed bugs, this is roughly 113 degrees Fahrenheit. Heaters cause the pests to become lethargic, and their bodies begin to slow and eventually cease all nervous function. Bed bugs need to be exposed to this thermal death point for roughly 30-90 minutes for the heat to fully affect their bodies. A good bed bug heater is one which meets the necessary temperature of 113 degrees Fahrenheit and can eliminate bed bugs. Besides these two requirements, it's also important to find a heater that can fit your possessions and won't tax the electrical system of your home. These factors combined can help you determine whether a product will be good for you or not. Portable bed bug heaters come in many shapes and sizes. While some can hold items that are up to 36 in. (3ft) long and 36 in. (3ft) wide, many others can only handle items that are 10 in. or less. Before ordering a heater, it's important to determine which possessions will need to be treated. Pick a heater that meets your needs, if not your wallet. If you have couches and beds you want to heat up, you'll need to opt for a larger device, but if you just want to heat up clothing, then a smaller unit should be fine. We do recommend making the investment into larger heater. Even though larger heaters are more expensive, you can place bigger items (like whole suit cases, furniture, beds, etc) into the enclosed space. This could save you thousands of dollars if you were to ever get a bed bug problem. Rather then throwing away your stuff, you could put it all inside a heater. It's important to read the energy requirements for each product. Larger heaters might need more power than the electrical outlets in a pre-WWII building can provide. Some bed bug heaters can also be huge energy drains or struggle to reach the proper temperature. Remember, the heater needs to reach and sustain a temperature of at least 113-117 degrees Fahrenheit for a couple of hours to eliminate bed bug adults, nymphs, and eggs. 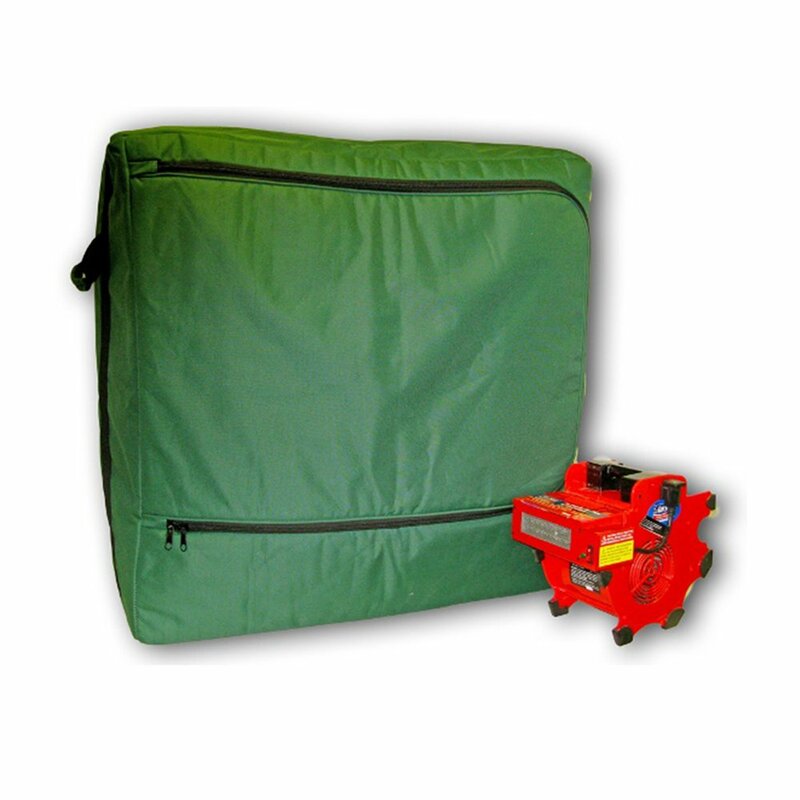 The ZappBug Heater is one of the smaller, more portable bed bug eliminators on the market. It measures 23 in. X 37.5 in. X 23 in. and can be folded flat for easy storage and portability. The product uses one central heater to control the temperature within the zippered pouch. The temperature rises to roughly 130 degrees Fahrenheit, which is enough to kill adults, nymphs, and bed bug eggs. This device weighs roughly 10 lbs. and can hold an additional 10 lbs. of items. It is easy to clean and can kill bed bugs within hours. I recommend this product to people on a budget and don't want to spend too much on a heater. 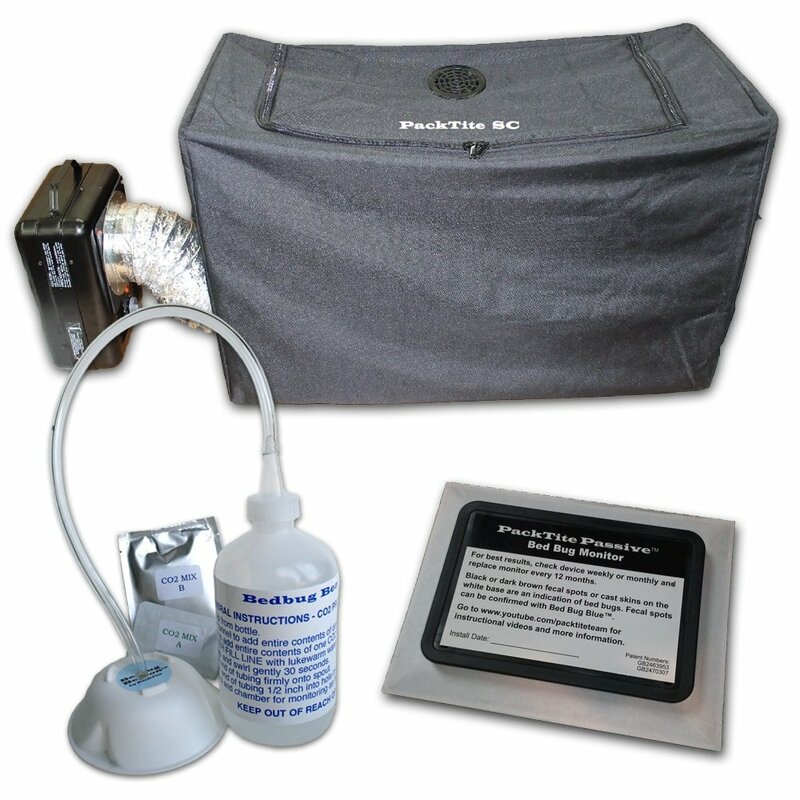 The PackTite heater is a small bed bug killing system which heats up to 120 degrees Fahrenheit to eliminate pests in items like clothes. The system is 10 in. X 10 in. X 10 in. 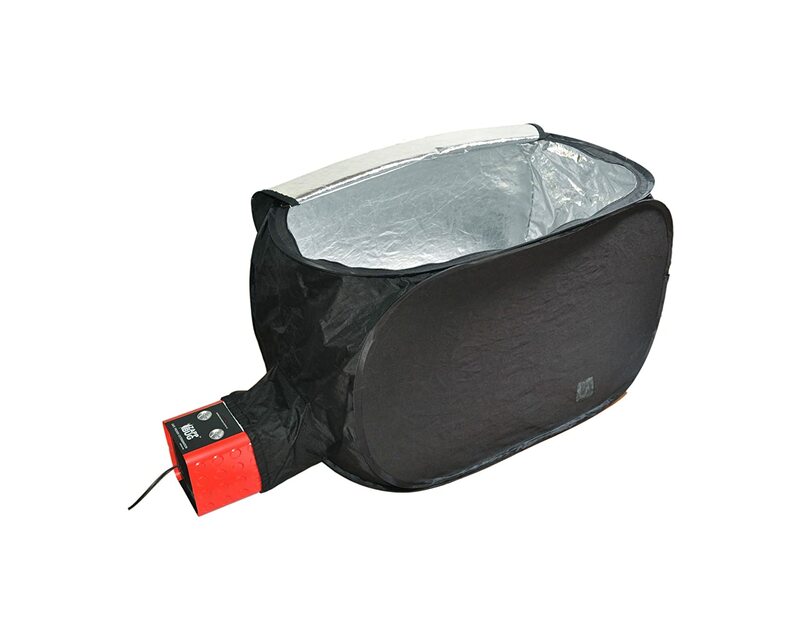 Unlike larger heaters, this product is portable and can be brought along while traveling or in hotels. The device weighs roughly 31 lb. and features a detachable heater. It has a hanging bar so the system can be suspended in a closet. 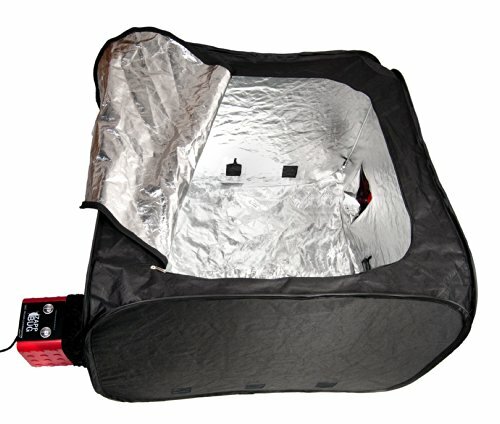 The ZappBugg Oven 2 is a portable heater designed to eliminate bed bugs from clothes and other possessions. The device can be folded flat and unfolds to form a large box sealed with a zipper. The patented design keeps heat inside and has two 1500 watt heaters. This product is environmentally friendly and avoids chemicals and pesticides. It measures roughly 3 ft. X 3 ft. X 3 ft and it's cheaper than many other heaters of its size. Since the heater can be brought to different locations, we recommend the product to travelers. However, due to its power requirements, it works best for people who can plug it into power at home. The ZappBug Heat Chamber is largest product offered, providing a very large space measuring 80”x111”x 57.5” inches. For infestations, exterminators tend to recommend heat chambers like these to homeowners that want to save their larger belongings (beds, couches, etc). You can rent them but the rental costs are very close to the cost of the actual product, which has most folks taking the plunge and investing in one for life. 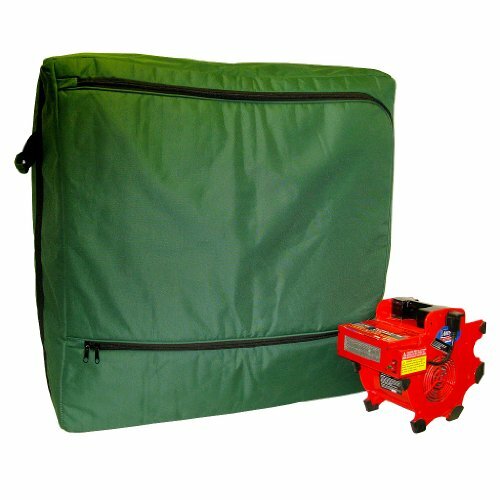 The PackTite SC is one of the most portable bed bug heaters and can be folded flat so it only measures 10 in. wide. The device can be plugged in to many regular electrical outlets and can heat up to 130 degrees Fahrenheit to kill adults, nymphs, and eggs. The PackTite SC measures 18 in. X 36 in. X 23 in. It comes with a built-in timer and alarm so users can leave their items inside for a designated period and then be alerted when the heater is done. This device is a solid, mid-range heater and works for people who know they will need to treat many items at once. A little on expensive side, but we wanted to include it as it is capable of treating an entire home (up to 800 sq ft). These are the units that professionals typically use for whole-home bed bug removal. Setup can be complicated to ensure your home heats up to the required temperatures in all locations. This could be a great option if your exterminator is quoting you a very high price for bed bug removal. You could buy one and hire an exterminator to operate it saving you some costs. 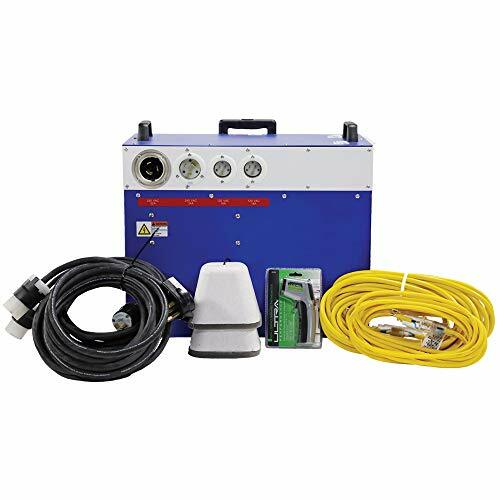 It uses a 40 or 50-Amp 240 Volt plug (stove), 30 Amp 240 Volt (dryer) plug, and 2 120/20 Amp breakers, which many properties might not have the electrical capacity to use. Despite its strict requirements, the Prevsol is one of the most effective heaters to handle bed bugs. Instead of targeting affected items, the Prevsol can heat an entire room to 130-140 degrees Fahrenheit and kills adults, nymphs, and eggs. All of these products can help individuals battle the scourge that is bed bugs. In terms of functionality, practicality, and overall investment, our main recommendation is the ZappBug Oven. The ZappBug oven isn't TOO expensive but still applies the necessary heat to your belongings. If cost isn't a concern, then upgrading to the ZappBug Oven 2 could help with bigger bulkier belongings. Either way, ZappBug has brought forward great products to help combat bed bugs, which has resulted in positive feedback from us and the overall pest control community.